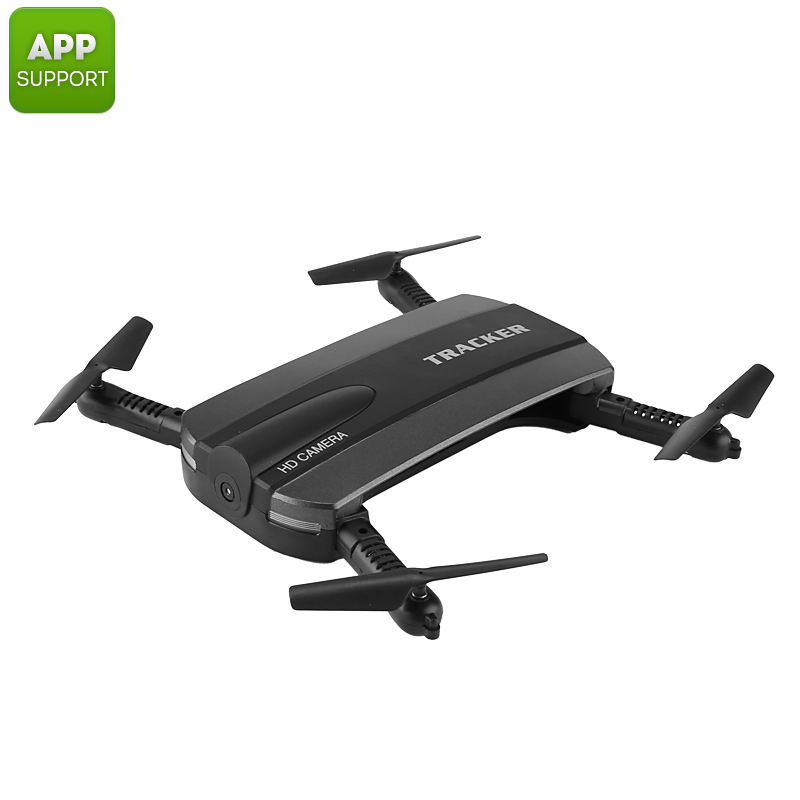 Successfully Added Golden Star JXD 523 Mini Drone - 0.3MP Camera, 480p Video, WiFi App Control, Foldable Design, FPV Support, 40M Range (Black) to your Shopping Cart. The Golden Star JXD 523 is an extremely compact and lightweight mini drone that is sure to bring along hours’ worth of entertainment. Thanks to its small design, this little video drone can be used indoors as well as outside. It packs a sophisticated 0.3MP camera that lets you shoot pictures and capture crisp 480p video. With its durable body, this lightweight quad-copter has been designed to take a hit. Therefore, it won’t instantly break when you accidentally fly into an object. As it is easy to control, this mini drone is perfect for the young and old alike. It furthermore features foldable arms. This makes your video drone extremely portable and will protect its propellers when not in use. This mini video drone comes packed with in intergraded camera that allows you to take stunning aerial photographs of your surroundings. With its Wifi support, you’ll be able to control your quad-copter and access its camera via your smartphone or tablet. This allows you to easily control your quad-copter. Additionally, it brings along FPV possibilities that will add an extra cool dimension to your drone flight experience. When paired with your FPV goggles, this mini drone will give you a first-hand drone pilot experience while you’re cruising through the skies. Your new folding drone comes packed with a lightweight 550mAh battery. This cell produces enough juice to bring along up to 8 minutes of flight time. Thanks to its 40m range, you’ll be able to scout your surroundings and see your environment from a totally different perspective. By supporting both iOS and Android smartphones, this mini drone is compatible with the fast majority of cell phones out here. It furthermore supports 3D flips and comes with cool LED lights. No matter your flying skills, this mini quad-copter is sure to meet your demands. This RC drone comes with a 12 months warranty, brought to you by the leader in electronic devices as well as wholesale electronic gadgets.. I confirm the reception of my parcel. Very very satisfied for your support and kindly attention to all the steps of this transaction.